AJAY and RAJU are two very compassionate young boys from very humble back grounds. They have struggled and worked very hard and come up in life. All of them have dedicated their lives to service and want to help other kids from similar back grounds. To take care their personal ﬁnancial needs they have started a fast food restaurant at the new mall with the support of dreams foundation. During the day they serve in NGOs and in the evening they run restaurant. They all want to continue making a diﬀerence in as many lives as possible. Revabhai, a 55-year old plumber, hadn't been able to to make his ends meet & hence failed to provide necessary medical treatment to his wife. He ended up mortgaging his loading rickshaw, his only possession, to meet his wife’s medical bills. 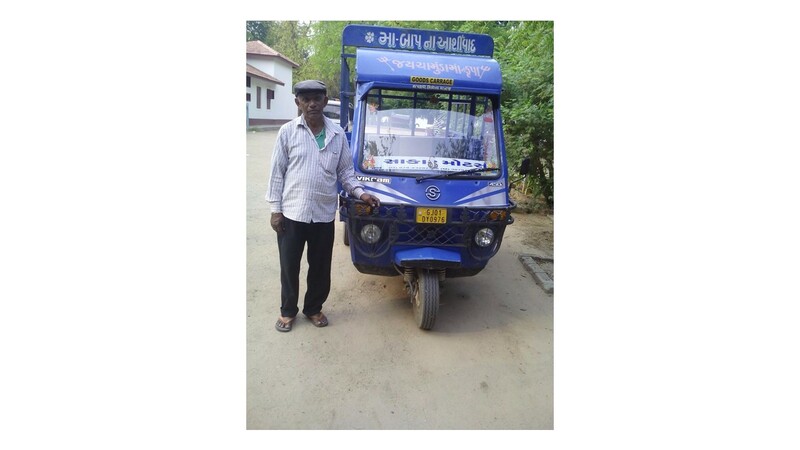 Dreams Foundation has supported him by get some good equipment for plumbing work and to get back his rickshaw. He is now free from loans and can work hard to support his wife. © 2018 Dreams Foundation. All rights reserved.